I had mentioned in my previous weekly spending post that I had made a purchase off of Amazon, and I had a $5 gift card to make this even cheaper. I’m going to give you a tip on how exactly I managed to get this gift card, and how I keep a constant supply of these coming in while doing nothing out of my ordinary routine and taking only a few minutes or less of your extra time. And we all the know the important part of being financially independent is the fact that your time in life is much more valuable than your money. The way to do this is through the ‘Bing Rewards’. Now I know what you are thinking, “Who the hell actually uses Bing?” Trust me, I had the same exact reaction when one of my friends first told me about this. Whenever I don’t know something, I instantly head to Google to look it up and see if I can find more information on the subject. I’m hoping that my Bing Rewards review can slightly alter that behavior so that you can earn some extra cash like I have. Enter “evil” Microsoft with Bing, offering to pay me just to use their search engine. Yes, you just read correctly – Microsoft will pay you just to use Bing in your searches. Now the payments are not just in straight cash or checks, but they will reward you for using the search engine with gift cards and rewards in several areas. In order to do this, it took a little re-training as I would instinctively still head to Google. I changed the search engine in my browser to Bing and I also had to start going to Bing when I wanted to search, and now I end up using it more often than not. The search results with Bing are decent, and usually compare to Google pretty well. For those times I need to search for something specific in quotes, I do agree that Google is superior in that aspect. When it comes to earning points through the Bing Rewards program, you can gain 1-2 points each day by just clicking their daily search or deal. When you initially start, there are a bunch of tutorials and videos that can be done in a short amount of time to get you started with about 300 base points (this may have changed since I first started). You can also link your Facebook account if you have one for 50 points, and then just not allow Bing to ever post or share any information. I’m not sure if you can de-link it and still keep the points. You can also get a one-time bonus credits for referring your friends. These activities are probably the most time you will ever spend on this program, after that it will all come down to earning points through searching. Depending on the level of your account you can gain 10-15 points through searching each day. Some days they even double the max amount of points you can gain, which is pretty cool. You earn 1 point for every 2 searches, so in 30 searches you will have your maximum daily points from searching. There are always a bunch of trending topics at the bottom of Bing, so I usually just click these for a bunch of ‘free’ searches and then continue to use Bing throughout the day. There are also the three ‘statuses’ or levels of accounts: Member, Silver, and Gold. You start as a member, and then when you get your first 200 points you become a silver member (which gives you 50 more free points). Once you buy your first reward and get 750 lifetime points you will become a ‘gold’ member which will give you discounts on all the rewards. So the first reward you buy must be at full price, but after that my goal is to aim to stay at the gold level by doing 150 searches each month. The main reward that I target is the $5 Amazon gift cards, these cost 525 points for regular and silver members – once you have Gold status it will only cost 475 points. I find these to be the best value for me but you are also able donate $5 to charity of your choice, buy skype credits, Hulu plus subscriptions, red box rentals, and a few other things. In order to reach the 475 points for the Amazon gift card, I will assume that you usually hit 15 points a day. Really you can usually hit 16-18 with the daily deals, but 15 is an easier number to work with and sometimes I miss the maximum amount of points. This means I can earn a $5 Amazon giftcard roughly every 32 days so almost a gift card a month. To me this is a no-brainer, as I accumulate these gift cards and only use them when I have to make a purchase anyways. I’m not going to Amazon JUST to use my gift cards that I have. The minimal time invested at the beginning to breeze through all the tutorials to start this program definitely seems worth it, as now I am not spending any additional time that I wasn’t already using to search the internet. Some of those reward websites seem to be great, but then you realize you actually getting paid less than $1/hour – and your time is worth much more than that! For this program, I was already doing this – so why not make a little extra “cash”, even if it is very minimal? I just had to switch the search engine I use, and it’s not that big of a deal to me. I would recommend taking advantage of this program if you don’t have a problem switching search engines! 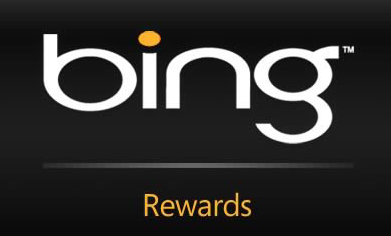 If you were thinking of signing up after reading my Bing Rewards review, feel free to click here to use my referral link – I’ll get a small amount of bonus points from that!